But for mankind, that knowledge can be a dreadful burden but it’s because of this life-span-insight that we must make the most of every single day, to maximise every hour and second, to record our existence for future generations and pass down knowledge. In our journey through life, we express ourselves and capture the experience first with crayons, then pencils and ultimately with pens (let’s set aside digital formats for a while!). The latter being the preserve of our long adulthood – decades of usage from early scribbles to semi-deciferable scrawls then back to childlike “I don’t give a damn” scribblings again! Wherever you are in your scribe-journey, a pen will always feature in your home, place of work, car, pocket, bag etc. They’re everywhere. But what does your pen say about you? Are you your pen or does the pen yield to you? Branded pens with logos and messages are not personal statement pieces, they simply don’t have that identity – never have and never will. They are though, essential tools we all use day to day to mark events, record messages, indicate interest…in short, a branded pen is to the public, a free, communication device. In recognising promotional branded pens, you’re recognising life…and that’s the healthiest way to mark your 82 years! 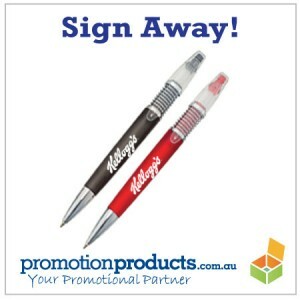 This entry was posted in business gifts, Desk and Office, Giveaways, promotional pens and tagged conferences, events, giveaways, writing by admin. Bookmark the permalink.